The stainless steel high polished silver heart set pendant necklace is a great gift for that special someone. 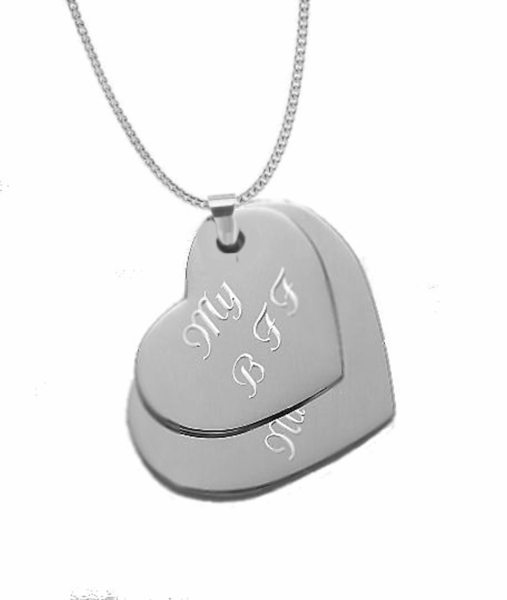 Engrave the heart with names, dates or a message of love. If you would like to engrave a heart, you can simply write "heart" in the desired location. 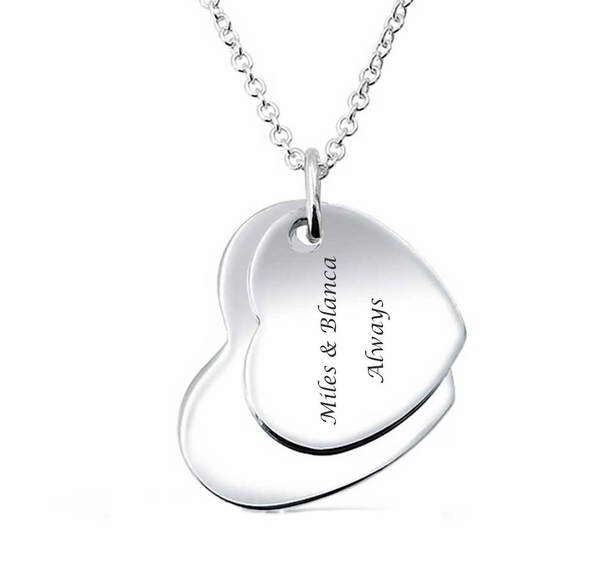 Both sides of the heart pendant can be engraved. A silver or gold chain is included with the heart pendant. Dimension: Large Heart 1.25 x 1 Small Heart 1" x .75"